CAS is the non-academic component of the IB Diploma Programme. One main purpose of CAS is to develop a balanced life for students. While IBO promotes rigorous academic coursework, they also strive to impart to students that there is a life beyond books. CAS represents an opportunity for students to explore non-academic strengths and weaknesses, try out new activities and grow personally from goal-setting in a variety of endeavors over 18 consecutive months. 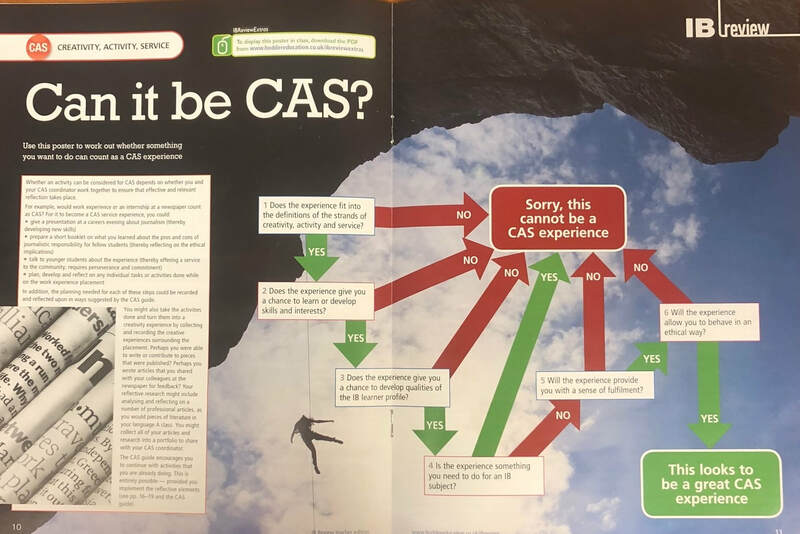 The source for all things CAS - What is it? How do I...? When is it...? A simple test for CAS - can I count it or not?